THIRTEEN BILLION EURO is quite the number. Before yesterday’s landmark European Commission decision regarding Apple’s unpaid Irish taxes, there was substantial conjecture as to what the final figure would be. €19 billion was the generally agreed-upon upper limit for the bill that the Commission was expected to throw at the iPhone giant. Most experts seemed to think the final number would place at the lower end of the scale. €13 billion has taken most by surprise. And that figure actually rises to €19 billion with interest. The Irish government will almost certainly appeal the decision, meaning the money in question will likely be held in abeyance for some time, probably years, while the whole process is dragged through the courts. Any Irish government turning down European money is a slightly comical prospect. It’s not what we have come to expect, particularly when you take into account the fact that the so-called sweetheart deals that were granted to Apple happened in 1991 and 2007, years before the current government was even a glint in Enda Kenny’s eye. Yet appeal the decision it will, and perhaps you can see Minister for Finance Michael Noonan’s point. We may make €13 billion tomorrow (or in ten years’ time), but what is that compared to the jobs and revenue we might lose if other companies either decide to leave these shores, or choose to never set up camp here in the first place. You only have to look at how zealously our politicians guard Ireland’s corporate tax rate of 12.5% to understand how unpalatable an eventuality that is for all concerned. But how likely is yesterday’s decision to have such an effect? And how bad could the fallout be if our beloved multinationals decide to up sticks? One man who is unimpressed to put it mildly by the Minister for Finance’s stance is Professor of Finance at Trinity College’s School of Business Brian Lucey. If the only reason multinationals are here is to take advantage of various shell companies and move profits around to lower taxes, you have to wonder if morally we need to be part of this. Lucey dismisses the idea that thousands will lose their jobs once foreign companies decide that the grass is indeed greener in other countries and sees any appeal of the EU’s decision as a “pure political sop to the multinationals “. If the government does appeal this they’re doing it because they’re hamstrung by the tune they’ve been singing for decades. I wouldn’t see the tax bill as being something that would cause huge amounts of trouble. Things are never as good or bad as people expect them to be. That’s one side of things. Tax partner with Grant Thornton in Dublin Peter Vale sees matters more than a little differently. “It’s a question of short-term gain versus long-term sustainability and certainty around Ireland’s tax regime,” he says, adding that the government appeal is key. If you don’t appeal you’re saying that you agree with the quantification of the liability, the €13 billion. Vale was just one of those slightly taken aback by the sheer scale of the bill, saying “it’s much higher than expected, I didn’t think such a figure could be possible”. #AppleTax creates big political problem for government: How do you explain to Joe Public why you're turning down €13bn in 'unpaid taxes'? “It’s a massive number – we need to look at the methodology used to arrive at it because it’s far higher than expected,” he says. Reputation is everything he argues. If you are a multinational, would you have the same confidence in our tax regime after this bill? While it’s a huge number you need to look at the bigger picture. I don’t think you could have the same confidence as to what tax you would be paying. You couldn’t be certain. And no-one wants uncertainty. Lucey meanwhile argues that there is more attracting foreign direct investment (FDI) to Ireland than just our tax laws, citing an Economist survey (from 2012) of multinationals regarding the Irish market conducted for legal firm Matheson. 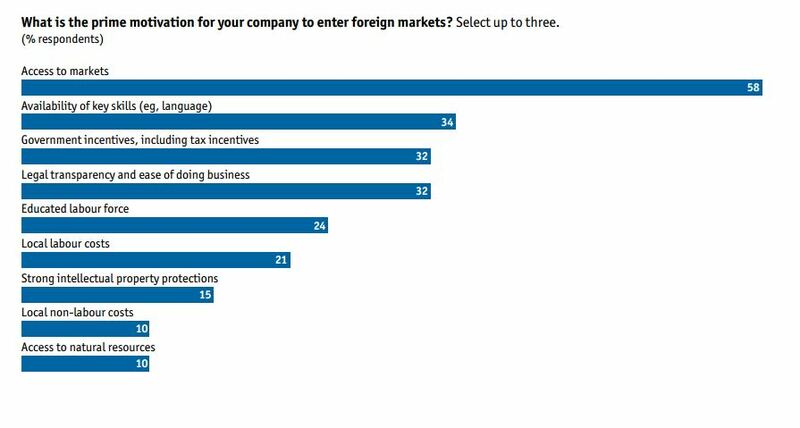 It’s true, the single greatest motivating factor for FDI per that survey is access to markets, with availability of skills coming in second. Other factors include an educated labour force and the ease of doing business from a legal standpoint. But third on the list is ‘government incentives, including tax incentives’. So while the moral argument is a fair one, it would seem that there is likely to be some sort of reaction to the EU’s decision. “The only way to protect your reputation is to appeal the decision,” says Vale. Asked if he sees the €13 billion bill as a ‘bad thing’, he replies that “it’s unfortunate”. “And if a company is here purely for tax reasons, is that what we want? Is that morally a good thing? Are they the kind of jobs we want?” he asks. But what of the fact Apple says the decision will adversely affect investment in Ireland? “Well what would you expect them to say given the circumstances?” he replies. When I discover I’m wrong, I change my mind. What do you do? Email “"The government needs its head examined" - should Ireland really throw €13 billion back in the EU's face?”. Feedback on “"The government needs its head examined" - should Ireland really throw €13 billion back in the EU's face?”.